Transitional patterns evident in retail spending are now playing out in the industrial sector, with refrigerated logistics facilities becoming increasingly popular amongst institutional investors, as rising food retail sales drive increased occupier demand. CBRE’s latest Australian ViewPoint focuses on the rise in demand for refrigerated logistics facilities, in what has been dubbed a shift from a “mining boom to a dining boom”. The report looks at these transitional patterns and how they are influencing the industrial arena. A specific focus is the refrigerated logistics industry, which is responsible for the storage and management of a range of goods and commodities, including foodstuffs, pharmaceuticals, agricultural imports and exports and specialised manufactured goods. CBRE’s Senior Research Manager – Industrial, Luke Dixon, said rising sales turnover in the food retail sector had been one of the key market drivers, underpinning strong occupier demand for refrigerated logistics facilities. Consequently, this has generated growing interest from institutional investors chasing the strong tenancy covenants on offer from some of Australia’s largest retail and wholesale manufacturing companies, such as Coles, Woolworths and Metcash. According to CBRE Senior Managing Director, Victoria, Matt Haddon, investors have recently shown a willingness to pay benchmark yields to get a foothold in the sector and acquire facilities with long Weighted Average Lease Expiry profiles (WALEs). This was highlighted last month by Cromwell’s acquisition of a new refrigerated logistics facility in Adelaide for $32.7 million on a yield of 8.2% based on a WALE of 20 years. This transaction is expected to be followed by further strong evidence of investor demand for this asset class, as several sales at sub 8% yields are mooted to be at “due diligence” stage. “Yields for refrigerated logistics facilities have sharpened as investors become more comfortable with the role that this asset class plays as a vital component of the infrastructure required to facilitate growth in the global supply of food and agricultural products,” Mr Haddon said. The CBRE report also highlights a significant shift in the dynamics of the refrigerated logistics industry in recent years. “As the logistics sector has consolidated and automated, technology has made leaner operations possible for clients,” Mr Dixon said. “Typical asset sizes for new cold storage facilities are 10,000sqm+, although some facilities such as the Coles site in Truganina in Victoria are as large as 40,000sqm. Another focus of the report is the marked difference between the rentals and outgoings for refrigerated logistics facilities as opposed to traditional warehouses. 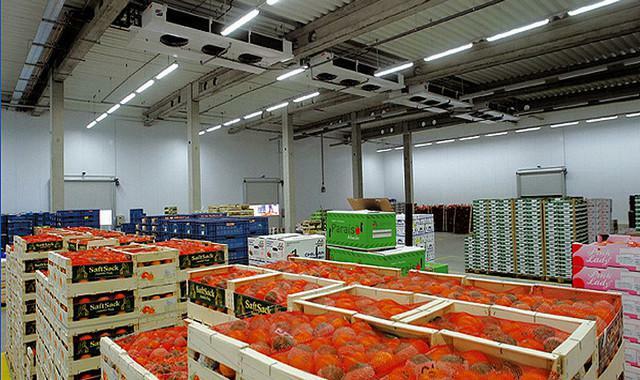 “Given the capital intensive nature of cold storage assets, face rents tend to average between $200 a square metre and $300 a square metre as opposed to typical prime warehouse face rents of between $80 and $120 a square metre,” Mr Dixon said. “Outgoings costs also tend to be higher, averaging 20% to 30% of net face rents as opposed to 10% for standard warehouse facilities.